The Memphis Grizzlies on Wednesday revealed a special adidas MLK50 Pride uniform, which the team will wear during their January 15 Martin Luther King Jr. Celebration game against the Chicago Bulls. The uniforms come out of a partnership with the National Civil Rights Museum at the Lorraine Motel, a Memphis institution that traces the history of the civil rights movement in the United States and that will focus programming on the 50th anniversary of the assassination of Dr. King. 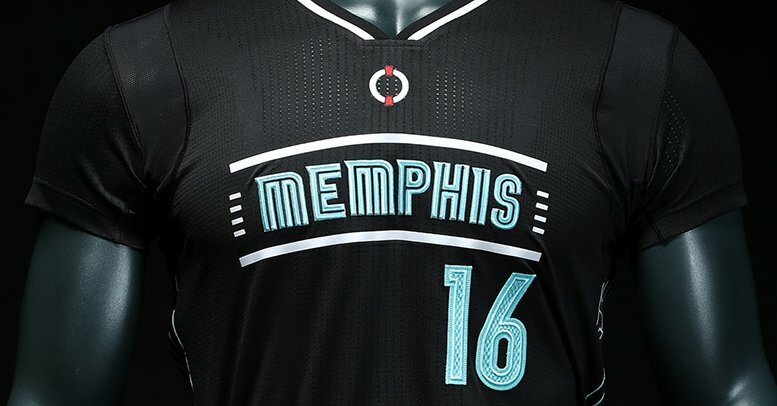 With a black base color, a “Memphis” wordmark that evokes the Lorraine Motel’s sign, piping meant to look like the railing surrounding the museum and motel, sea foam accents that replicate the color of the motel room doors where MLK spent some of his last living moments, and a wreath design on the jersey’s neck that represents the one that hangs where King was shot, the uniform finds plenty of ways to honor the legendary civil rights leader while keeping a look fits in nicely alongside the team’s primary uniform. On Wednesday night, the uniform was unveiled at an event at the museum called “A Bridge of Opportunity,” which featured a discussion about sports and social justice with Grizzlies Head Coach David Fizdale, Vince Carter, team Partner J.R. “Pitt” Hyde and Terri Freeman, President of the National Civil Rights Museum. You can watch video of that event on the Grizzlies’ website. The NBA has long placed a focus on celebrating MLK Day, with special daytime games and programs around the country that honor to the work done and inspired by Dr. King. These uniforms are a cool visual nod to that legacy, drawing attention to the continued importance of social justice issues while offering Memphis fans a unique way support their team and the museum. Along with other related merchandise, these unis will be available starting January 1 at FedExForum’s Grizzlies Den by adidas.